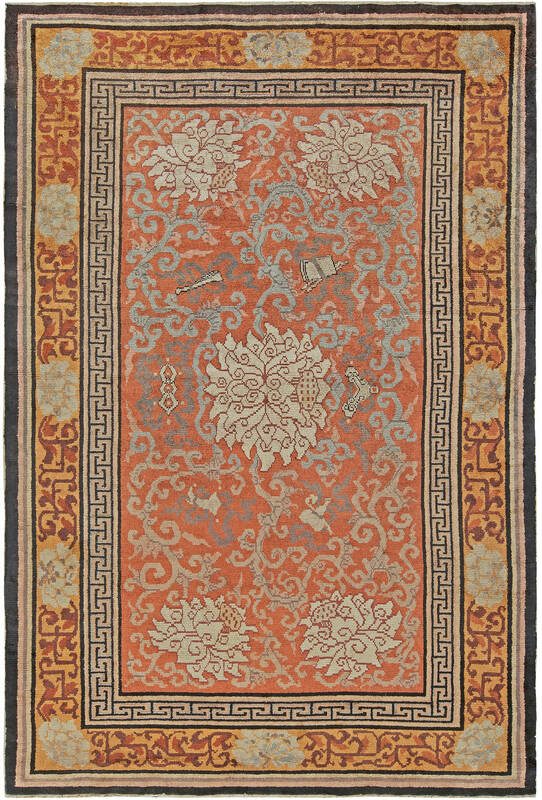 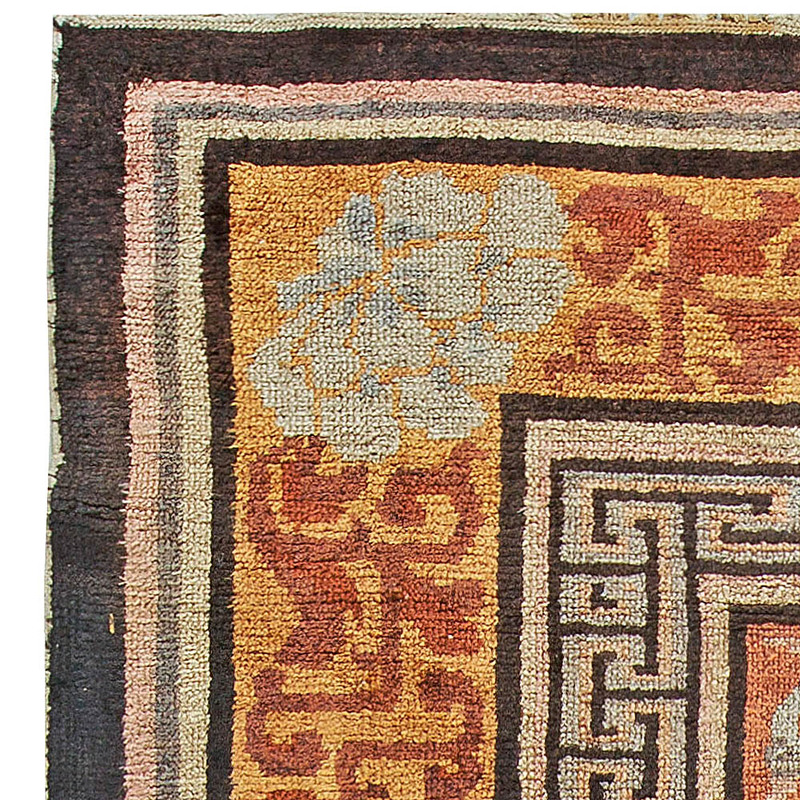 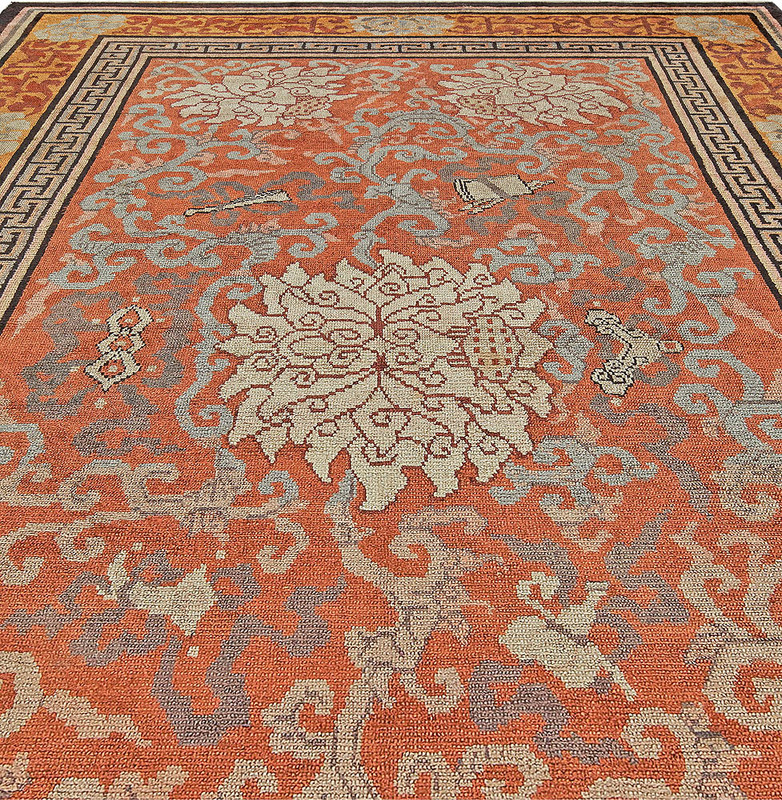 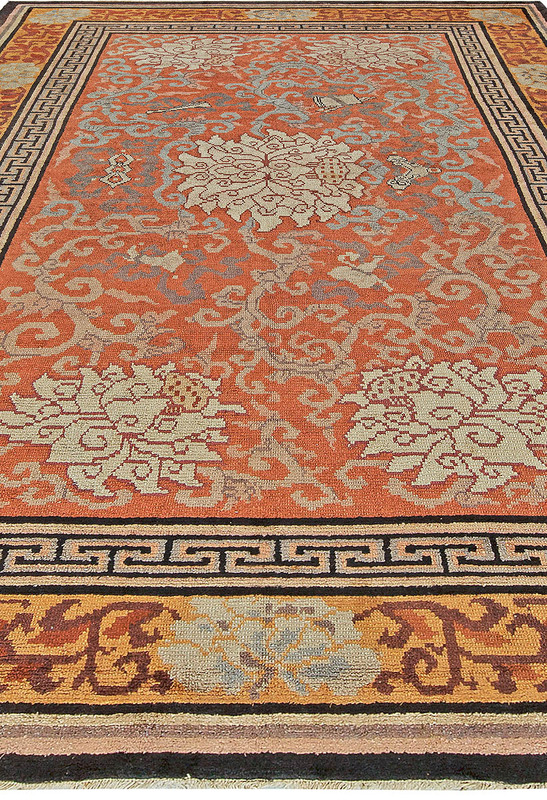 An early 20th Century Chinese silk rugs with a rich orange field with large cream blossoms and intricate vinery in pale shades of cream and grey, surrounded by a color contrasting geometric border and a wide golden border with cream flowers and more vinery. Vintage rugs – they are essential objects of desire of not only vintage trend followers but all aficionados of beauty and sublime design. 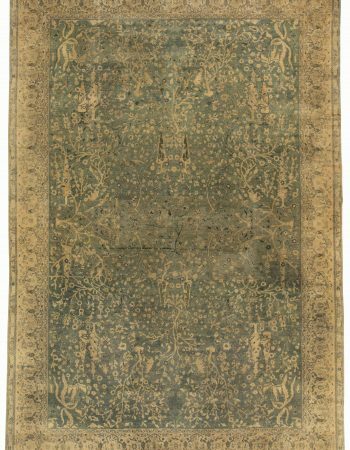 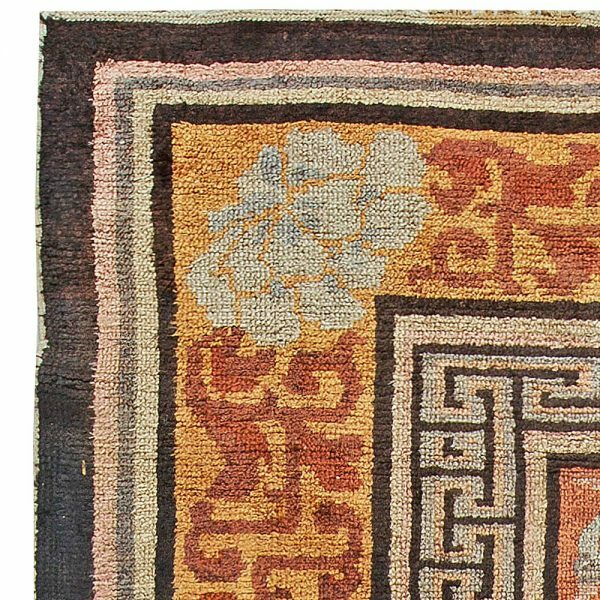 There is a good reason for such vast recognition as vintage style area rugs constitute the core of taste and artistry of the 20th century progressive thought. 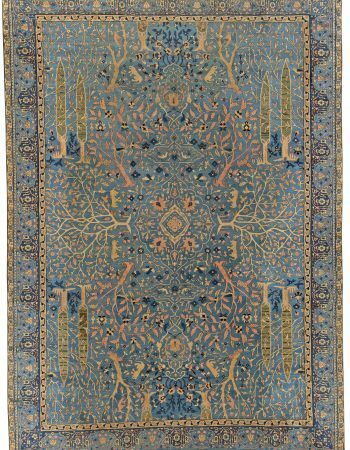 They are clearly defined by the past century’s celebration of new ideas, modern lifestyle and the Renaissance of all arts which happened about that time. 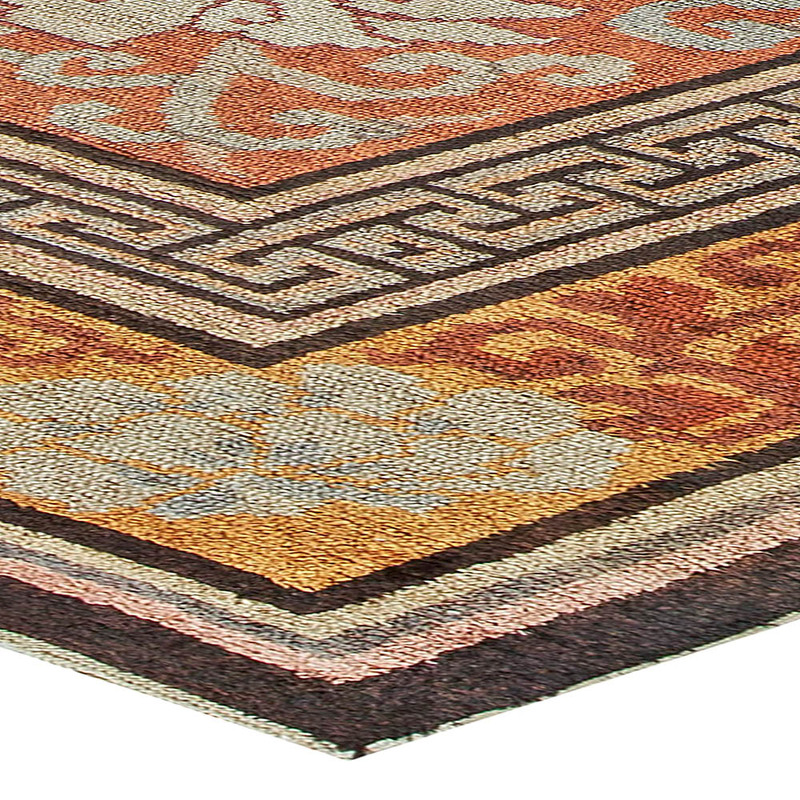 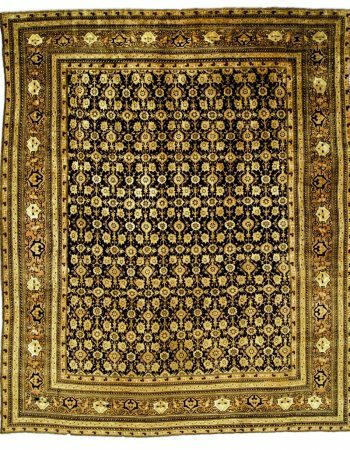 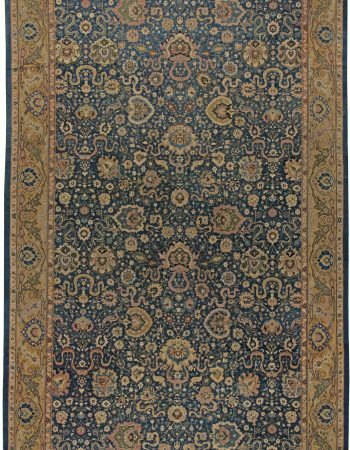 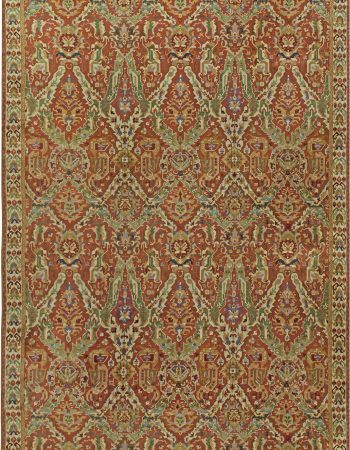 The category of vintage rugs has many faces – there are numerous aspects such as historical period, style, fashion, culture, symbolism and philosophy which add up to form the dazzling array of vintage antique rugs.